My name is Selina, Birmingham Fashion & Beauty Blogger. I live in Birmingham and work in fashion digital marketing. I have a degree in Management and Marketing of Textiles BSc from the University of Manchester (September 2007 - June 2011), and I also studied abroad at the University of Borås in Sweden (August 2009- April 2010). Since then I've had a post featured in a Harper Collins text book, spent a weekend in Luxembourg courtesy of the Luxembourg Fashion Commerce, spoke on BBC Radio One's Sunday Surgery and for student radio station Fuse.fm, appeared on BBC West Midlands News and WM Radio, and was featured in the Sutton Coldfield Observer, Sutton Coldfield News and the Birmingham Mail. I interviewed Gok Wan in 2008 before attending the Specsavers SWOTY Awards at the Hilton in London. Flying Saucer was named as one of Teen Vogue's Top 20 Blogs and I also received their Blogger of the Moment Award. I was a fashion blogger for the Birmingham Post, was the the British ambassador for the social networking site Modepass, and I blogged for Catwalk Queen, part of Shiny Media. During 2009, I was featured in Bliss magazine as a teen trendsetter, visited Paris courtesy of Eurostar, and then visited again for the New Look Spring/Summer 2010 press day in December. In 2010 I attended Copenhagen Fashion Week as a blog ambassador and London Fashion Week in February, where I was photographed by ASOS. Once I completed my study abroad year in Sweden, I interned in London in May and June at the fashion desk of a national daily newspaper and a fashion PR agency. I was a guest judge on the Channel 4 show Frock Me and was interviewed in Company magazine. 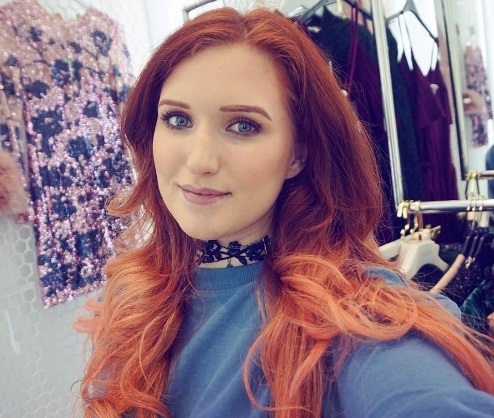 I've attended Wireless and Fusion Festival as a blogger and worked with countless brands. In 2011, I completed the final year of my degree at The University of Manchester. I also started blogging for The Bullring Shopping Centre at Browse:Bullring and was photographed at London Fashion Week by Elle.com and Vogue.jp. Flying Saucer was featured in The Times and Company magazine again. In 2013 I moved back to Birmingham to join a new marketing team for a global brand and now I specialise in digital marketing at a global fashion retailer. Please don't hesitate to contact me at selinawears@gmail.com with any questions or queries. All photos belong to me unless specified. Some linked will be affiliated.